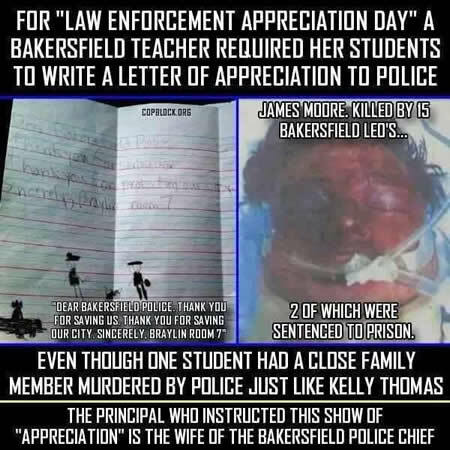 The settlement in a jail beating death case of James Moore is huge more than $6 million but attorneys who brought the case against Kern County said a jury verdict could have been in the $20 to $25 million range. The attorneys said the settlement sends a strong message to law enforcement that the beating of “a completely defenseless” inmate will not be tolerated. 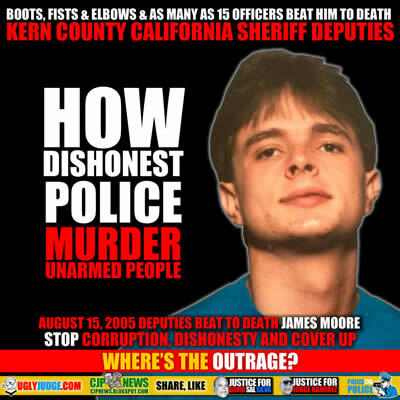 James Moore, 30, died after being beaten by downtown jail detention deputies on Aug. 15, 2005. The defendants included three detention deputies who are awaiting a trial on murder charges in Moore’s death, as well as other deputies who saw the events unfold. The defendants do not include Deputy Brian Carr whose eyewitness account led to murder charges. Rodriguez said “as many as 14 detention officers beat, hit, kicked, kneed, punched, choked, taunted, mocked, tormented James Moore who was handcuffed and shackled. Officer Roxanne Fowler ran up. Carr said she struck him twice in the face and once in the chest with her boot. Near the end of the incident, Carr said he saw James Moore being punched and kicked and described the attack as excessive force. James Moore stopped breathing, but was revived and taken to a hospital where he died about a week later from blunt force and brain trauma.